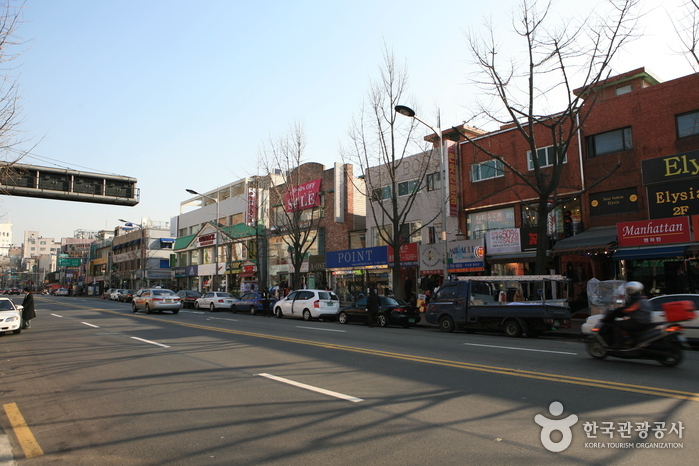 Itaewon is a popular tourist and shopping destination for foreigners who visit Korea. There are over 2,000 stores clustered together with shopping centers, shops selling clothes, shoes, and bags, restaurants, recreation facilities, trading companies, travel agencies, and tourist hotels. The many English signs and many foreigners will make you feel as if you are not in Korea. Small-scale shops selling souvenirs were opened to the American army after the independence of Korea. 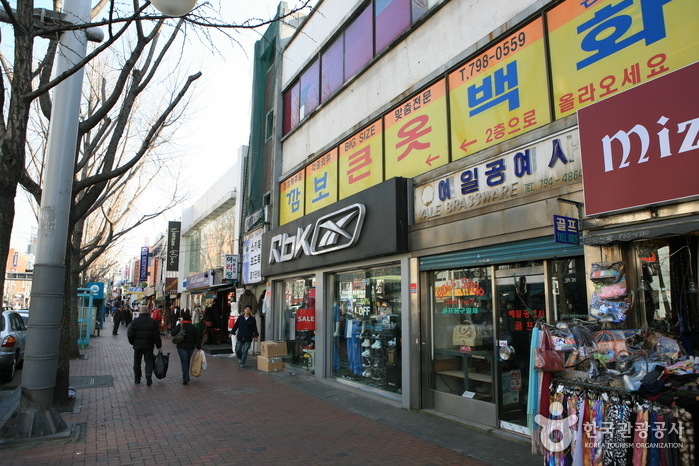 Since then, shopping centers appeared to residing foreigners and tourists and with Seoul 1988 Summer Olympics, Itaewon rapidly grew as the representative shopping town in Republic of Korea. From the middle of 1990s, it changed from the American army centered street to global citizens’ street when more tourists came from Japan, Hong Kong, China, South-east Asia, Africa and Middle east region. In 1997, it was designated as a special tourist zone. Japanese and Chinese, as well as English, are available at most shops due to the fact that costumers are mostly foreigners, and all kinds of requests are made. Moreover, there are special restaurants to taste the unique foods of the world. There are Turkish, Indian, Pakistani, Swiss, and Thai, and of course, authentic American food as well. 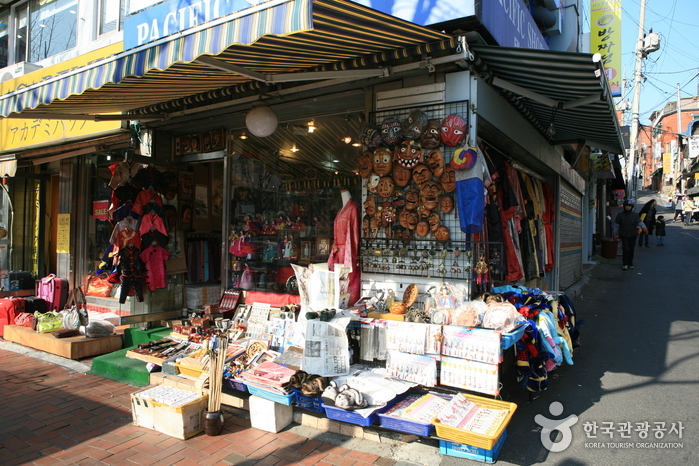 Born again as one of world’s best tourist spots, Itaewon provides not only shopping opportunities but also the opportunity to see exotic and traditional Korean fashion and culture. There are many festivals held in Itaewon, such as “The World Festival”, in which shows off Korean culture as well as traditional cultures from around the world.